In the middle of the forest there is a preschool/kindergarten that has no running water, no electricity, and only a stove for heat. 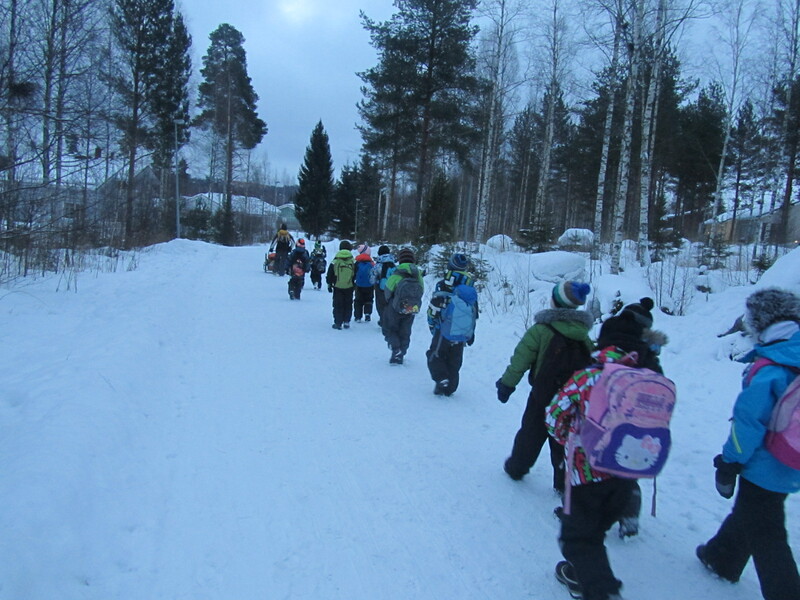 It’s a cottage school and the children have their classes outside even if it’s raining, snowing or many degrees below freezing. If it’s cold, the children put on another layer of clothes. If it’s wet, they wear a layer of plastic. 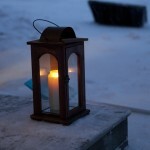 Every day, as is the Finnish tradition, the children are given a warm and healthy lunch. For these children, their warm lunch has to be delivered to the middle of the forest. 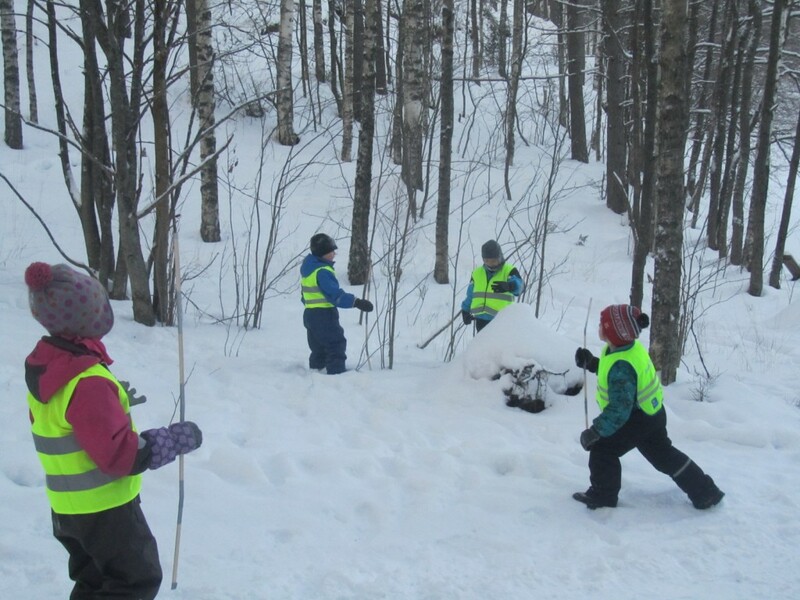 Even by Finnish standards, this remote and simple school is an exception to the rule. 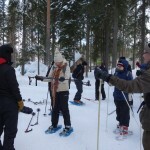 This may be the only preschool/kindergarten in Finland like this. Unfortunately I wasn’t able to visit this school myself; there had been so many visitors to the school that the teacher had to ask visitors not to come. 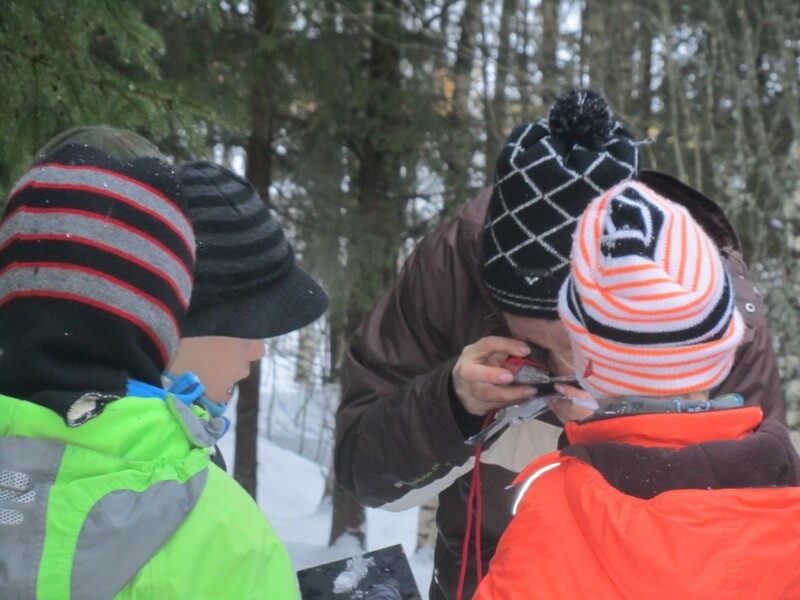 Sari-Havu-Nuutinen, a researcher from the University of Eastern Finland, told me that when she visited the school the children had been studying snowflakes – they caught them in the air, they observed them with a magnifier, and they compared the snowflakes with pictures in a book. 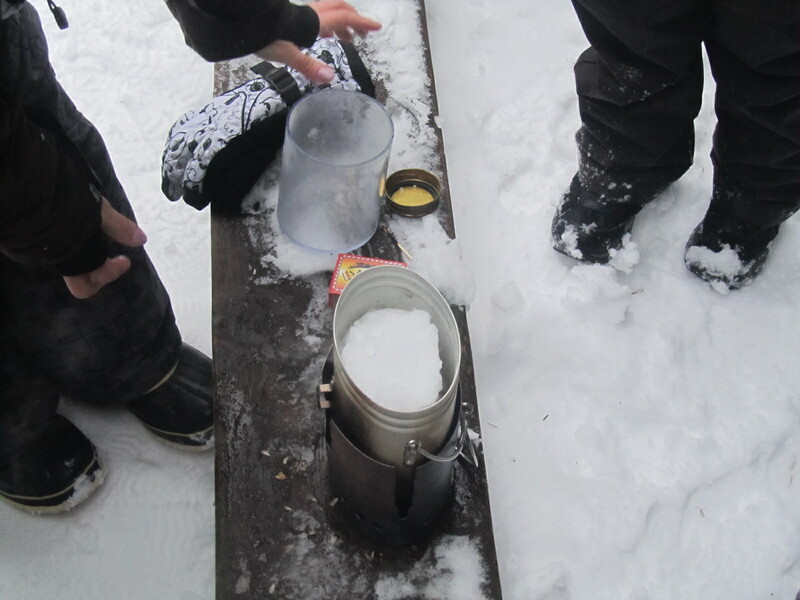 Students packed one-liter containers with snow, heated the containers over a fire, and tried to figure out why each container left behind a different amount of liquid water. 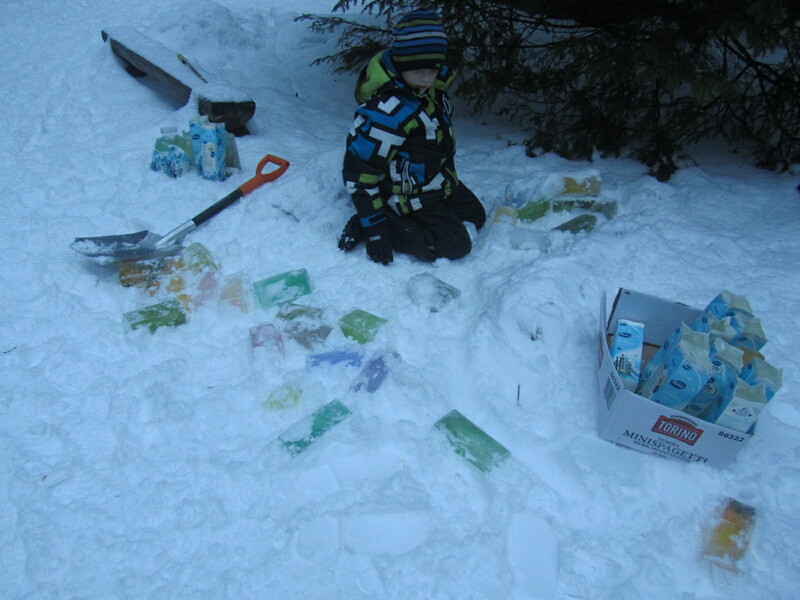 They used milk cartons to make colored ice blocks and sculptures, and built sticks their own height to find things in the forest their same size. Sari and I had long discussions about how Finns approach early childhood education and the name of the Russian theorist, Lev Vgotsky, kept coming up. I found Vgotsky’s pedagogical approach to be consistent with the teaching methods in many of the compulsory, high school, and university classrooms I visited throughout Finland. What is the role of the teacher in this environment? Can you give me a specific example of what children had to solve and what the teacher did? So when you were at the cottage school a few weeks ago, can you explain to me what the teacher did with them with the cartons? Do they all get 3 dL or do they get different answers? So one group might get 3 dL, one group might get….